Joshua Luke Atwell, 30, of Monmouth, IL died at 11:02 am, Sunday, August 12, 2018 at OSF Saint Francis Medical Center, Peoria from multiple injuries sustained in a motorcycle accident. Josh was born June, 26, 1988 in Galesburg, IL the son of Steven Ross Atwell and Tammy Lynn (McCann) Trout. He was raised and educated in Cameron IL, graduating from United High School in 2007. Josh married Shannon Hathaway in Monmouth, IL on May 11, 2013. Josh was a veteran of the Illinois Army National Guard Company Delta, 634th BSB and served in Afghanistan during Operation Enduring Freedom from December 8, 2008 to September 11, 2009. He had a very patriotic soul and loved his country and honored the men and woman who protected it. He was a strong willed and determined man who loved his family fiercely. Josh was a kind and compassionate soul with a personality full of life. He was employed by Cloverleaf Cold Storage facility in Monmouth. He loved fishing, boating, camping and was an avid dart player. Maybe a little competitive. Josh was a big Chicago Cubs and Bears Fan. Josh loved riding and traveling on his motorcycle, but his two children were his life. Surviving are his 2 children: Gatlin Luke and Elizabeth Darlene Atwell; his mother: Tammy (Mike) Trout, his father Steve (Kim) Atwell; his 3 brothers: Nickolas Atwell, Andrew (Triniti) Atwell, Kody Atwell; his 3 sisters: Ashley (Josh) Seifert, Heather (Tyler) Trout Nelson, Kendra Atwell; two nieces: Raven Nelson and Paisley Atwell; his nephew: Archer Nelson; his grandparents: Patricia (Clarence) Bishop, Diane McCann, Darlene (Marvin) Lannholm, Bill (Wanda) Atwell, Tom (Sharon) Trout; aunts, uncles, and lots of cousins and extended family. Josh was preceded in death by his maternal grandfather, Fred McCann, his cousin, Brandon Baysingar. Friends may visit with Josh's family from 3:00-6:00 p.m. on Thursday, August 16, 2018 at McGuire & Davies Funeral Home and Crematory, Monmouth, IL. Funeral Services with Military Honors will be 11:00 a.m., Friday, August 17, 2018 at the funeral home. Cremation rites will be accorded after the services. A private family burial interment will be at a later date. 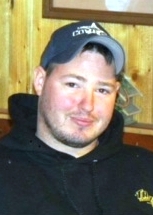 Memorials may be given to the FBO Joshua L Atwell, Midwest Bank, Monmouth, IL.